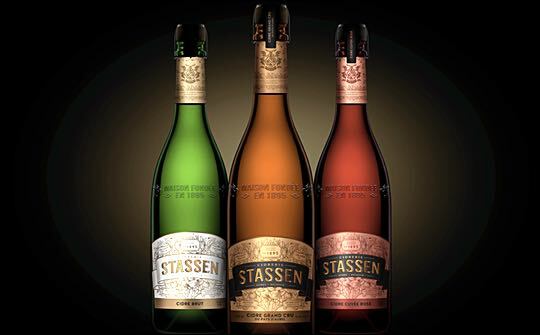 Léon Stassen founded his Maison de Cidre in 1895 in the Aubel valley and four generations on, the craftsmen of Famille Stassen are still creating ciders made only from the most select apples and refined family recipes. Bulletproof were briefed to bring to life the heritage of cider craftsmanship that is synonymous with Famille Stassen, through the branding and packaging for the new Ciderie Stassen range. 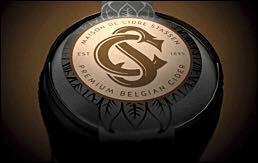 Drawing inspiration from Belgian Art Nouveau - which was gathering momentum at the time Léon Stassen founded the brewery, Bulletproof created branding that features the Cidrerie Stassen ribbon elegantly wrapped around a beautifully sculpted Stassen family apple tree. The colourways on the branding flex to differentiate the Cuvee Rosé and Cuvee Brut variants as more the premium products in the range. The date the company was founded and the names of the four generations of master brewers are nestled within the branding, proudly reinforcing the brand’s heritage. A full visual identity system was created to communicate the Stassen brand story of artisan craftsmanship and natural elegance to invite consumers into “the wonderful world of Stassen”. The suite of brand assets reinforces the brand story across communication touchpoints.